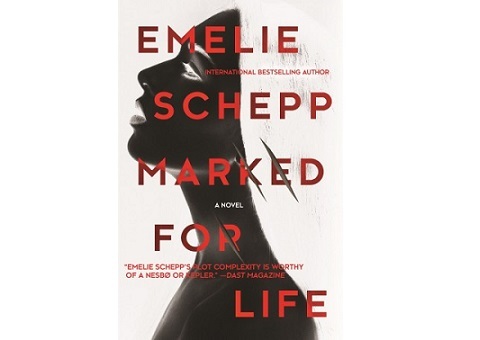 I stumbled on Marked for Life by Emelie Schepp by chance. If I had known the novel was self-published I may have been a bit skeptical, but that would have been completely unfounded, because this debut novel captures the reader from page one and is impossible to put down. Hans Juhlén, Operations Manager at the Swedish Migration Board, is killed in his home in Norrköping, Sweden. Prosecutor Jana Berzelius is put in charge of the investigation. They find threatening letters and an examination of Hans’s economy shows that a large amount of money was withdrawn from his account each month. Was he blackmailed? The police is puzzled when evidence suggests that the murder was committed by a child, a boy whose dead body they find later. Jana Berzelius has not told anyone that she woke up at a hospital without any memories when she was nine years old. We get to follow a parallel story of how she tries to find out the truth about her childhood. In the search for the truth about the dead boy the two plot lines intersect in a scary way. The characters is one of the most important components in a story and the more ”special” they are, the better we remember them. Jana Berzelius is one of those characters. She has put her past behind her and has a successful career. Some of her actions may be questionable, but you still find yourself rooting for her. Readers like that. The policemen are struggling with day-to-day issues, but readers like that too. I did not know when the novel was published and as soon as I finished it I tried to find the sequel. But it turns out I have to be patient, because Emelie Schepp is working on novel number two in the series about Jana Berzelius right now. Original title in Swedish: Märkta för livet.